Almost forty years ago I wrote a short piece on a shop-worn term magicians regularly use: effect. This was a word that crept into our informal lexicon, supposedly because it’s preferable to “experiment” or “trick.” The old-fashioned “experiment” suggested some sort of scientific test that might have a dubious outcome. It also sounded too tentative and uncertain, lacking the confident certitude associated with all-knowing (?) magicians. “Trick” was worse. It sounded trivial, cheap, and prankish—something underhanded and meant to make people look foolish. Therefore, magicians began calling what they did “magical presentations” or “effects.” This made sense, even though “effect” sounds slightly vague and spooky. When routinely used in magic books, an “effect” is the description (usually brief) of what happens during a given presentation. It is supposed to entail everything that apparently takes place as interpreted by the spectator. Something that is produced by an agency or cause; result; consequence. A mental impression produced, as by a painting or speech. The magician is the agent and perhaps the primary causative factor producing what happens. He causes the effect or result. Any magic “effect,” regardless of its agency, cause, or kind of interpretation by the spectator is undeniably illusory. Using these definitions I decided to compare and contrast “effect” and “affect”. My working definitions at the time were approximate. The following are my revisions. EFFECT: A dramaturgical action procedure or sequence of events that produce an illogical, unnatural, impossible, and unexpected result. What happens is subjectively perceived in an impressionistic way because it is subject to the psychological and physiological dynamics of the brain. AFFECT: When used as a verb it refers to any technique used that evokes and influences the audience’s emotions. When used as a noun. It refers to the audience’s response itself and to the performer’s emotional response to what has apparently happened and to the audience’s emotional responses to the same phenomena. EFFECT is about what happens. AFFECT is about what happens to the audience. EFFECT concerns what the performer does. AFFECT is about what the audience does. 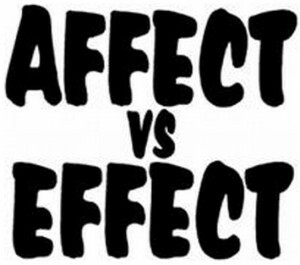 EFFECT and AFFECT are mutually affecting forces and states. These distinctions are a good a good start to understand a couple of dual dynamics that act and interact during magic presentations. Students and creators should keep them in mind to maintain a co-expressive balance between EFFECT and AFFECT. Our effects should be affecting and our affects should be effective. Lovers of card magic embrace almost everything done with the pasteboards—everything from flourishes and arcane sleights to strange and exotic principles that have limited application to effects. Many, in fact, have zero entertainment value despite being curiously puzzling. This may be the primary reason that enduring plots inspire magicians to devise many different methods, which in turn produce effects for motifs that modestly affect audiences.